The hallmark of every successful organization is the drive to achieve excellence in all its spheres of concern. This is the inspiration that engrossed the NDIC Academy when, in December 2016, it was accredited by the council of the Chartered Institute of Bankers of Nigeria (CIBN) as a centre of excellence for capacity building on deposit insurance scheme (DIS) for stakeholders in the banking industry. The rigorous requirements of accreditation demand that the NDIC Academy continuously maintain high standards in all ramifications of its learning processes and service delivery. Sequel to this, the CIBN, on October 9, 2018 visited the NDIC Academy for inspection to ensure compliance with all the necessities of the certification. 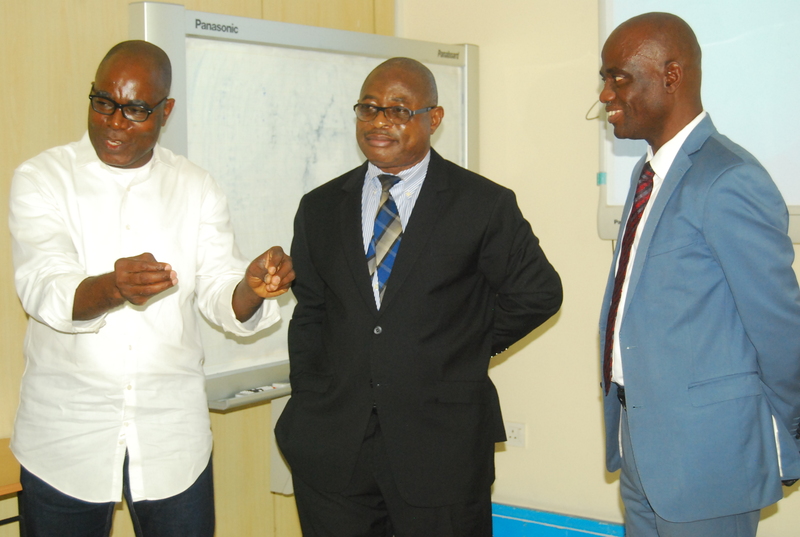 Speaking at the end of the assessment of the Academy’s facilities, the representative of the CIBN, Dr Dele Olaolu, FCIB, commended the Director, NDIC Academy, Dr Azubike Okoro, on the astounding progress the Academy had made since its accreditation. He noted particularly that the robust collection of relevant literature for various training programmes is critical to effective learning and should be promoted unreservedly. He further enjoined the management and staff of the Academy to put in every effort to ensure consistency in the standard they had set. The visit also afforded the team the opportunity to interact with course participants and facilitators.